Facebook‘s Friend List feature is invaluable. It lets you create lists for different groups of friends: work, family, school, local, or just people you want to pay more (or less) attention to. It pops up a window that shows your friends visually, in a grid, and lets you click to add or remove them. The same interface is used for inviting people to events and groups, among other things. It’s even exposed to Facebook Apps as Fb:multi-friend-selector. I particularly like that friend lists have their own RSS feeds for status updates. Sadly, friend lists don’t have RSS feeds any more. Try facebook-atom instead! It’s not all sunshine and kittens, though. The News Feed Preferences page, which lets you control which people and stories show up on your home page and news feed, is missing out. Its “More/Less About These Friends” lists are in desperate need of friend list love! Otherwise, friend lists are great, especially the RSS feeds. With those, I barely have to use Facebook itself at all! P.S. 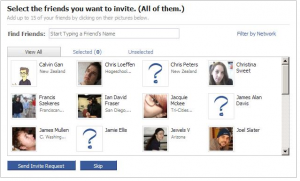 Other sites have similar articles: How To Create Friend Lists on Facebook, Organise your friends with Facebook Friend Lists, and Facebook Friends selection custom component. fortunately, you can manually create feed URLs that still work, including for friend lists. thank god! I see you’re linking to slymarketing.com on this page which used to be owned by Jens-Petter Berget.